The SAMR Model [developed by Ruben Puentedura] offers a framework for viewing how we integrate technologies into our curricula. Broken into four sections [Substitution, Augmentation, Modification, Redefinition], it is a simple way to identify those activities that provide greater educational value. The goal is to move towards teaching ‘above the line’. Click on the image to see some examples of each level. I would love to hear your thoughts on the SAMR model or any questions you might have about this frame. 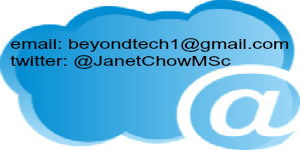 Posted on October 8, 2013 by JanetPosted in Innovative Teaching & Learning, Resources that Make A DifferenceTagged activities, differentiation, graphics, multimodal, resources, visual supports, web2.